Apricot oil is cold-pressed from apricot kernels. It is rich in Vitamin A, C and E and fatty acids and can help soften fine lines and soothe sensitive skin. It also makes a non-greasy moisturizer, massage oil or carrier oil for essential oils. 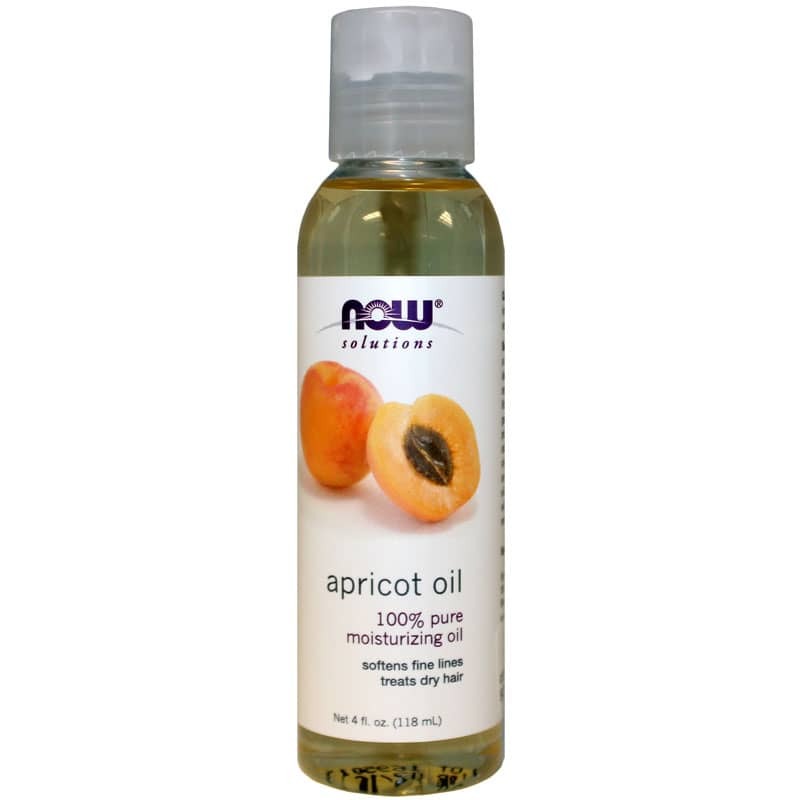 Apricot Oil from NOW Foods is a 100% pure, expeller-pressed, hexane free oil that helps nourish and moisturize skin and hair. 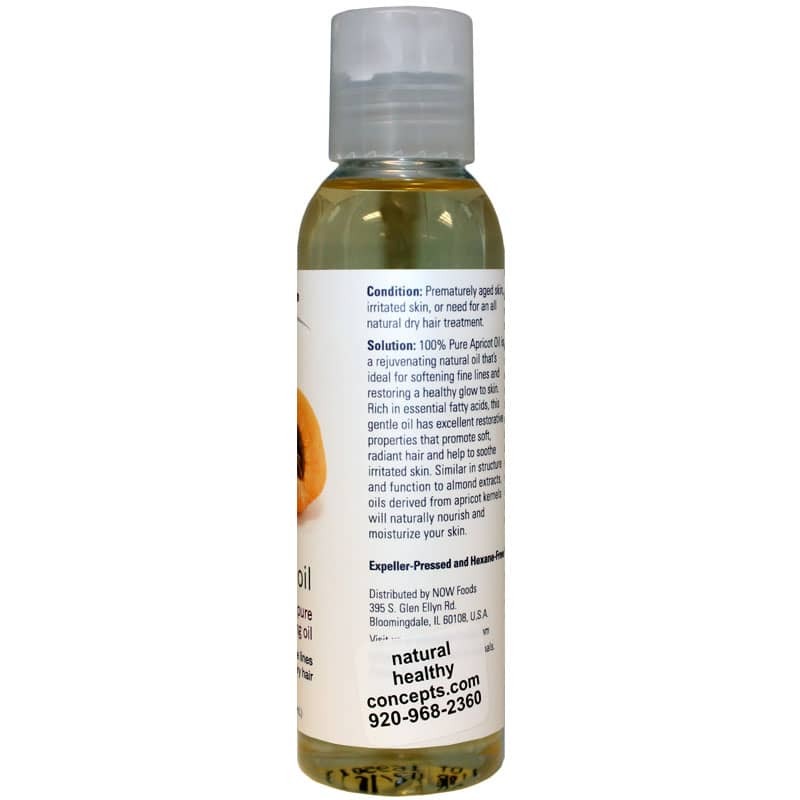 Apricot oil is cold-pressed from apricot kernels. It is rich in Vitamin A, C and E and fatty acids, has anti-inflammatory properties and can help soften fine lines and soothe sensitive skin. It also makes a non-greasy moisturizer, massage oil or carrier oil for aromatherapy oils and can be used in most body care recipes. Can be added to a wide range of body care recipes lotions, balms, creams, serums, etc. 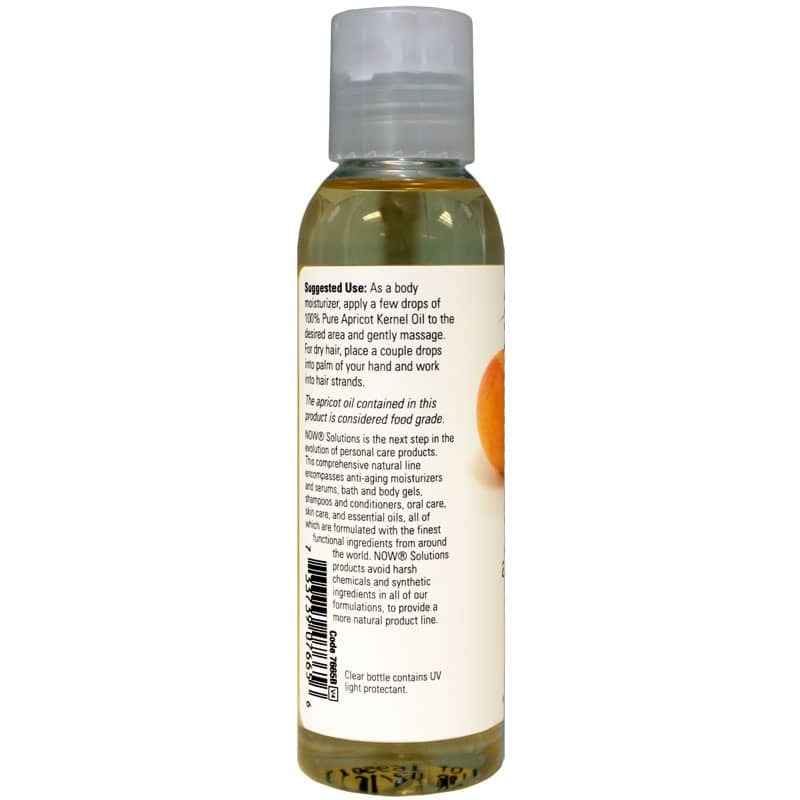 This Apricot kernel oil is a light, non-greasy moisturizing oil that can help keep your skin smooth and your hair silky while calming irritated or sensitive skin. It's suitable for babies and makes a great addition to home beauty and body care recipes. Order yours now! Exactly what I've been looking. It mixes well with other oils, very light and easy to wash off. I'm using it as a nutrition mask for my hair.